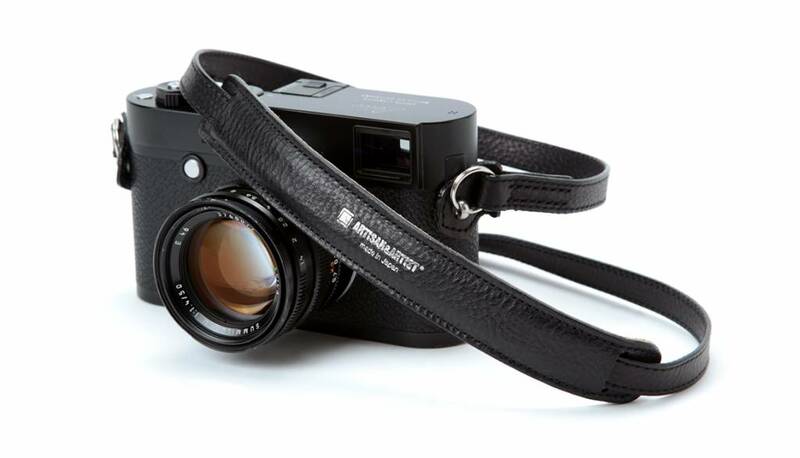 This slim leather strap for mirrorless or DSLR camera, features a removable leather shoulder pad. 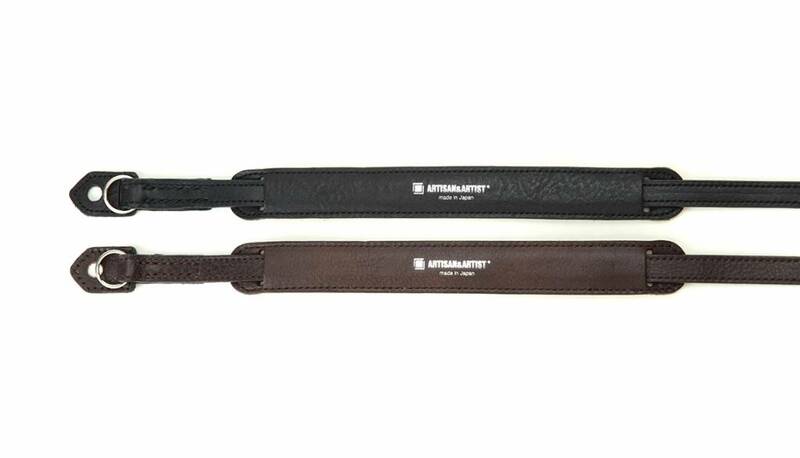 Handmade with quality Italian leather by expert Japanese artisans, this strap can accommodate various carrying styles, because the pad slides freely on the strap and can be used on the shoulder or neck. It features a ring-type attachment system. 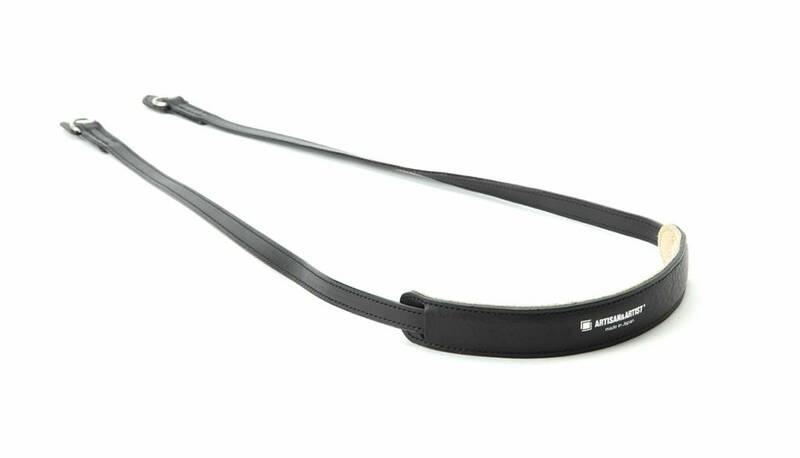 The protection flaps prevent the rings from scratching your camera body. 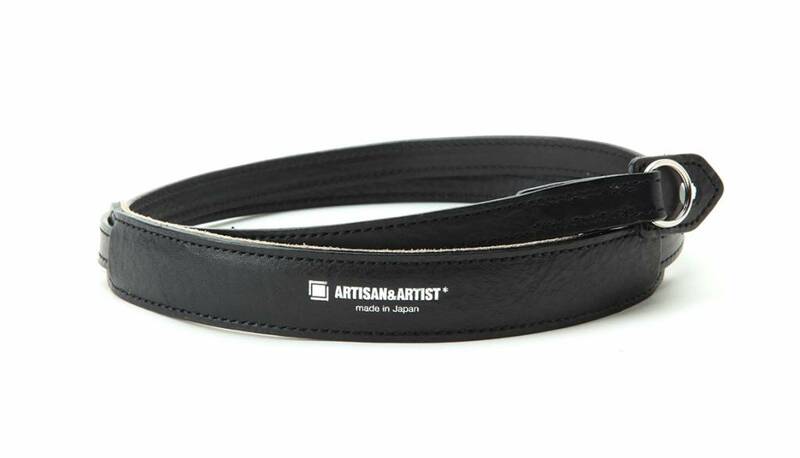 Although the leather's initial luster may fade with use, its natural color will be retained. 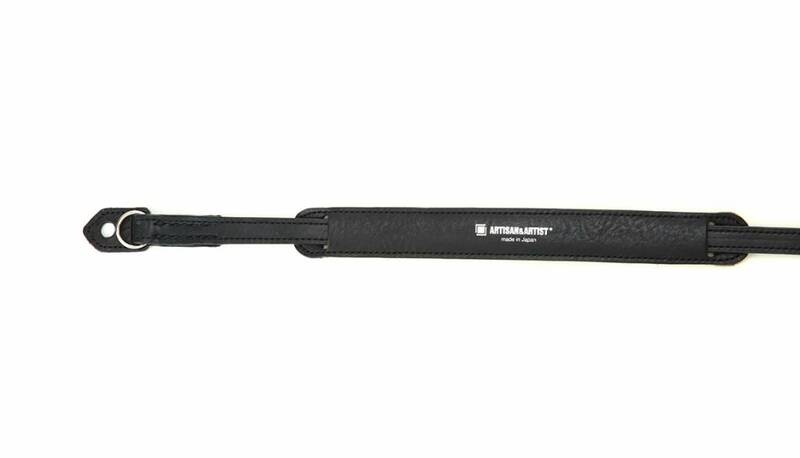 The length is around 94 cm and only weights 40 gram.